The possibilities with a few of these classics was more than we could bear and became the inspiration for our new project, Digital Synsations. We took 4 classic keyboards from the era and set our sound designers loose, tasking them to return with boundary-pushing sounds‚ and they did. 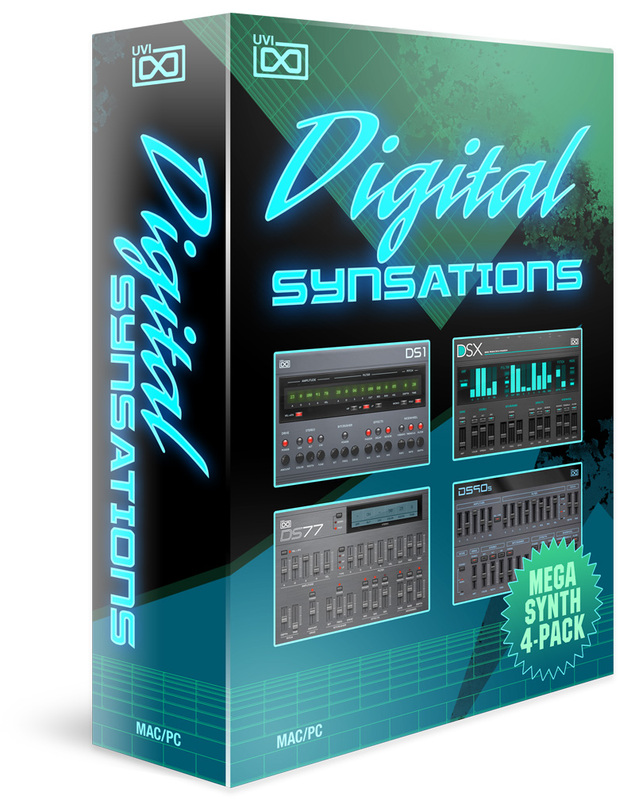 Digital Synsations includes over 500 patches expertly programmed on fully restored hardware‚ used by many of the greats including Depeche Mode, The Cure, Pet Shop Boys, Vangelis, Brian Eno, Toto, 808 State, Jean Michel Jarre and more. 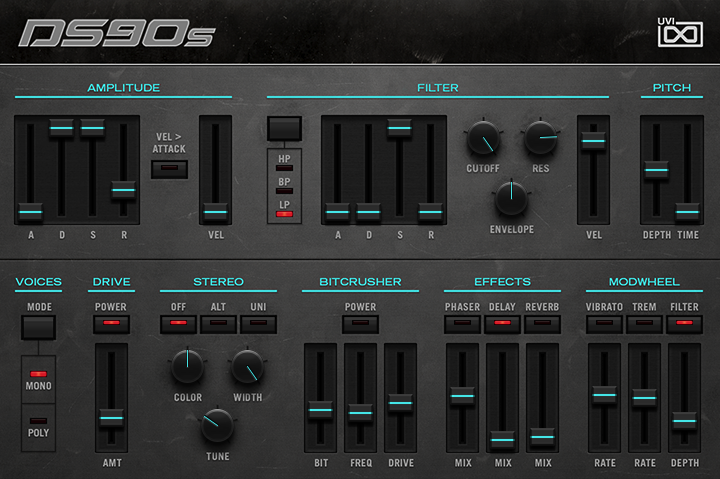 If you're looking for a new take on the 90's sound or just some new classic synth inspiration then look no further. 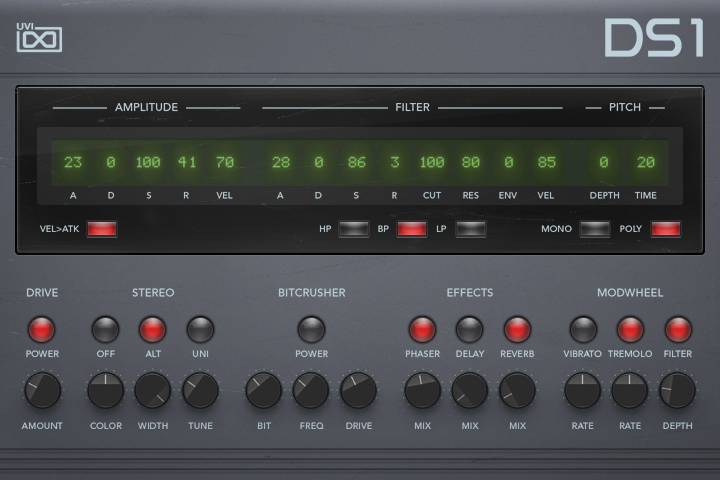 The original hardware combines next generation FM synthesis with 16-bit sampled sounds from internal memory or stored on removable ROM cards. The AFM engine on these synths allows you to freely apply filters and envelopes to any of the sampled sounds and then roll the resulting waveforms back into the FM algorithm prior to further filtering. This novel approach, dubbed RCM hybrid synthesis, can be used to yield extremely versatile sonic results. The Korg M1 employs Advanced Integrated synthesis, a hybrid synthesis engine that allows the creation of sounds made up of 16-bit multisamples or harmonic tables generated from by digital analysis from sample data similar to additive synthesis. These methods can be employed in parallel for even greater sonic diversity. 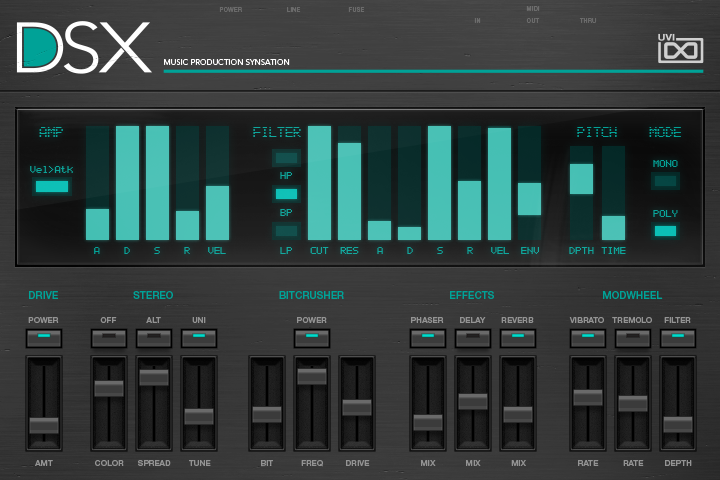 The Ensoniq VFX uses a wavetable-like synthesis method similar to that of the PPG Wave. 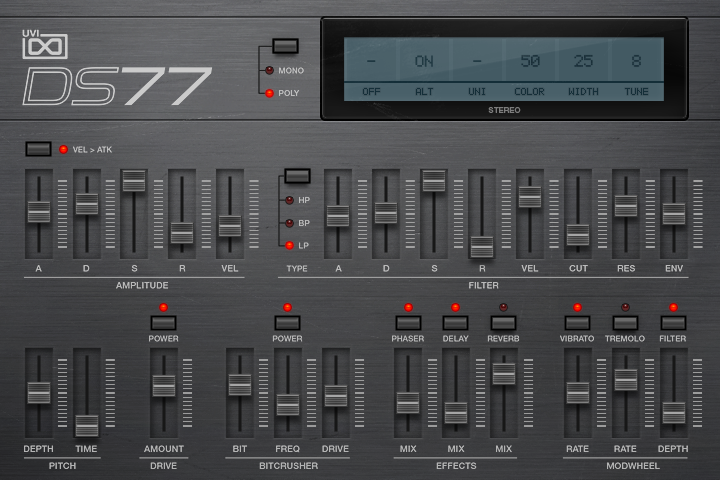 Up to 6 waves can be combined and layered into a single patch which feeds an impressive array of dual multi-mode filters, three 11-stage envelopes, an LFO and a 24-bit effects processor. Advanced parameter mapping allows up to 15 sources to be used for extremely complex modulations and sound shaping. A very popular Japanese synth with a purely digital signal path allowing the combination of 8-bit PCM samples with linear arithmetic synthesis to produce single hybrid sounds or complex cross modulations between the two. Furthermore you can layer two of these sounds together into a patch for a total of 4 digital OSCs. Each OSC can be independently programmed resulting in a remarkable variety of tonal possibilities.